Well according to the people over at Badass Digest Sony may be planning an all female team-up movie to put into their grand Spider-Man universe. Apparently the so called title of this film right now is ‘Glass Ceiling’ which will most likely be changed. Now this is a new concept not seen in the comics, so let’s have a discussion on what the heck Glass Ceiling is and what it could all mean. Sony are in trouble. There is no question about it. Amazing Spider-Man 2 may have made over $700m worldwide, but when looking at the production costs and the insane print and advertising costs there is no way that movie would have made its budget back. Sony knows they need something to revitalise their universe again so hmmm how about an all female Spider-Man spinoff team-up movie, yeah! Although this sounds awfully gimmicky right now, it could have potential. 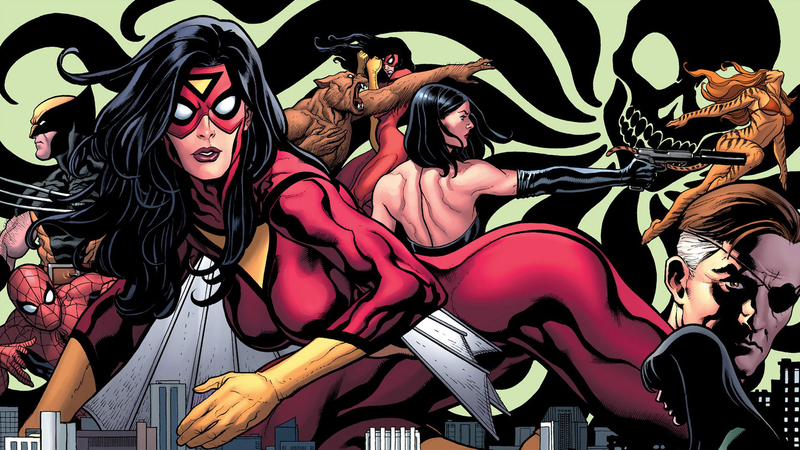 Devin at Badass chucked names around like Black Cat, Silver Sable, Spider-Girl, Silk, and possibly Spider-Woman to be part of the team (what about Spider-Gwen omg!). So it could be interesting if handled the right way. You know that show Rizzoli and Isles, it’s like a show about a female detective and a medical examiner or something. I’ve never seen the show before but I see the commercials and every time I see them I cringe hard. It’s all ‘ooh we’re sassy girls and we fight crime yeah’, and it’s just ridiculous, I’m sure the show could be good but the marketing is terrible and gimmicky. My strange point being that, this shouldn’t just be some gimmick, they need to handle it right so it doesn’t become a complete joke. I’m thinking they need to do something like Birds of Prey. 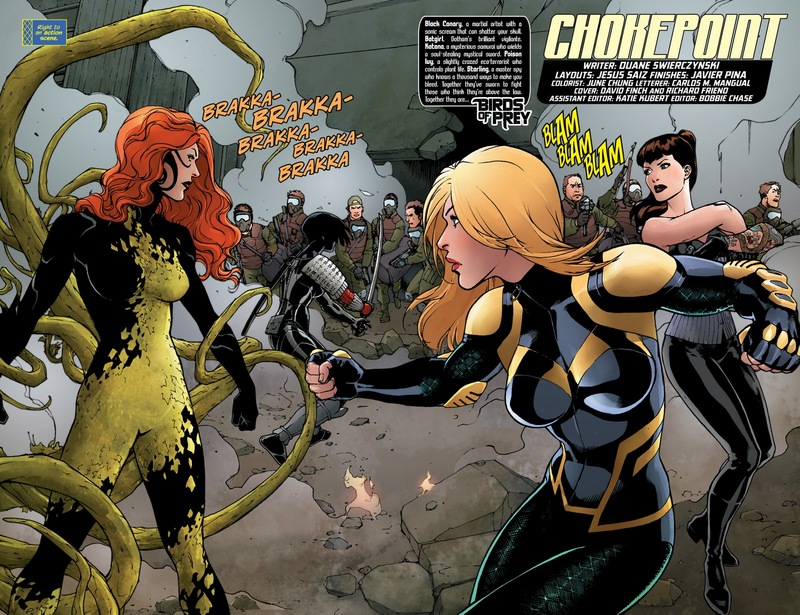 In the New 52 Birds of Prey you had characters like Poison Ivy and Black Canary. These characters aren’t just completey straight and narrow, they’re complex and pretty morally ambiguous. Obviously Black Canary is more of a hero than Poison Ivy is, the point being is that they need to introduce interesting team dynamics and complex characters into the team to stop is from becoming the freaking Power Puff Girls. I’m not sure exactly when Sony would plan on releasing this, ‘Glass Ceiling’ could replace the 2017 date for the solo female-led movie, and will be the first all female led superhero team-up movie, which could give Sony the edge they need again to compete with all the other movie studios. So far this is all speculation and may not even happen, but if this all female Spider-Man spin-off team-up movie, ‘Glass Ceiling’ happens, I will be very curious about which characters they decide to use and how they plan on fitting it with the greater universe. Anyways what do you think of the idea of an all female superhero team-up movie? And what characters should they use? Let me know! I love Marvel and most of their characters, but I don’t think Sony as it currently exists has any clue how to do a great superhero movie. This movie idea has disaster written all over it. I so want to see quality female solo and team movies, but this one has the potential to kill the idea and take another backwards step ala Elektra and Catwoman movies.